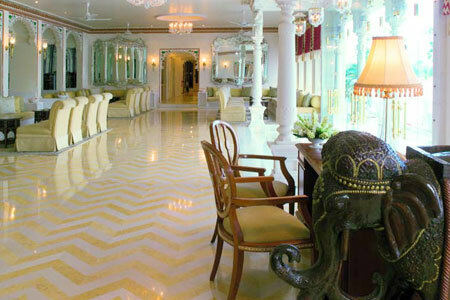 "A vision in marble, Lake Palace in Udaipur is spectacular. The exquisite monument floats in the cerulean waters of Pichola Lake. Built of white marble, the architectural marvel is beyond words. It looks like a dream set at the wonderful backdrop of the Aravallis. The luxuries of Lake Palace is legendary. The resplendent beauty is amplified in the interiors. 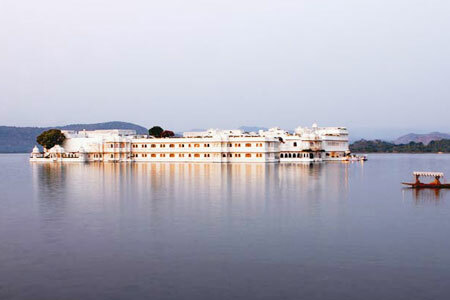 Now known as the Taj Lake Palace, it is one of the premier heritage hotels in India. 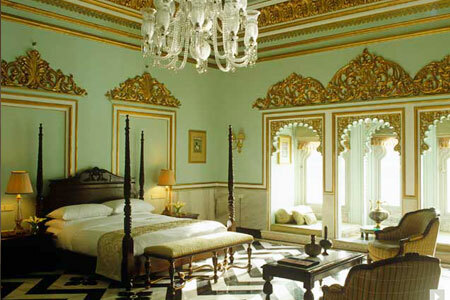 The palace has heritage, breathtaking beauty and the indulgences of one of the most luxurious hotels in the country. Lake Palace Udaipur is Located on an island in the middle of Lake Pichola in Udaipur. The exquisite white marble Lake Palace was conceived in romance, and built as a palace in 1746 by Maharana Jagat Singh II, a successor to the royal dynasty of Mewar. Sprawled beautifully over 4-acres, against the backdrop of majestic Aravalli Mountains on one side of the lake, and towering palaces on the other, the Lake Palace in Udaipur floats ethereally on the glistening waters of the lake. Now functioning as a luxury hotel, the palace features fairytale gardens, offering extravagant comfort and regal décor, making it one of the most sought-after hotels in Udaipur. The Taj Lake Place distinctly re-creates the mood and period of the bygone era in its wonderful accommodation. 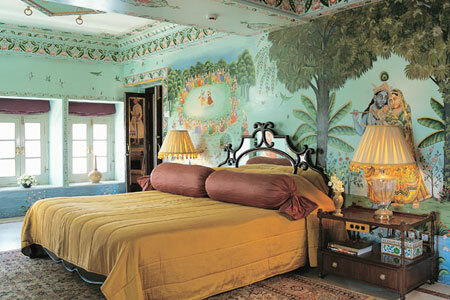 There are 66 rooms and 17 suites at Taj Lake Palace in Udaipur. Every corner of the palace offers stunning views. This heritage hotel is unrivalled for its luxurious facilities. It offers a unique and memorable stay. Luxury rooms are elegantly decorated for a memorable stay. Enjoy a comfy queen-size or twin bed. The windows open up to scenic views of the lake, amorous city of Rajasthan and the Aravali Mountains. Facilities live up to their standards of luxury. 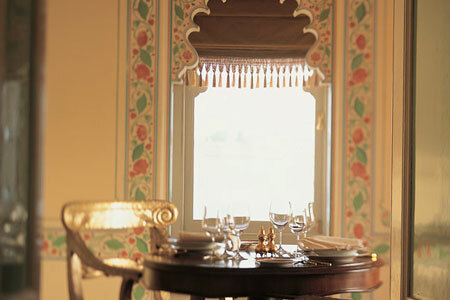 The Palace rooms are spacious and adorned with majestic Indian décor and floral motifs. Enjoy the amenity of a queen-size or twin bed. Spectacular views of the Pichola Lake, monuments and city is available. The room is an exquisite setting of traditional Indian craftsmanship with the facilities setting its own standards of opulence. 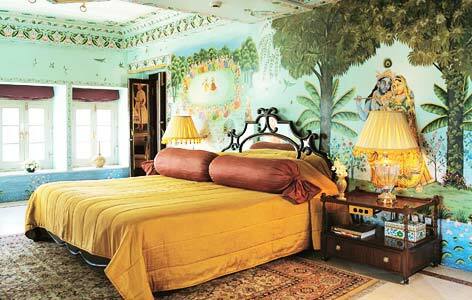 Royal suites are gracefully decorated with wall patterns, frescoes, and antique decors. It recreates imperial charm. A comfy king-size bed pampers the guests. Enjoy the wonderful view of the lake, monuments and city. These lavish facilities gives you the feeling of a royalty. The Grand Royal Suites are the epitome of royal grandeur. Savor the taste of the finest in the princely kingdom of Udaipur. Rest in the comfy king-size bed. Views of the lake, monuments is pleasing. The opulent amenities of the room are unrivalled. 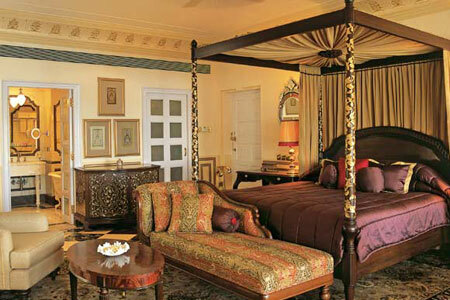 Shambhu Prakash Suite in Lake Palace is the presidential suite. 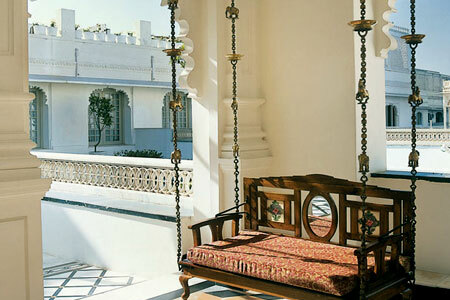 It melds Rajasthani and British Raj-era European grandeur. Enjoy the comfort of the king-size bed. 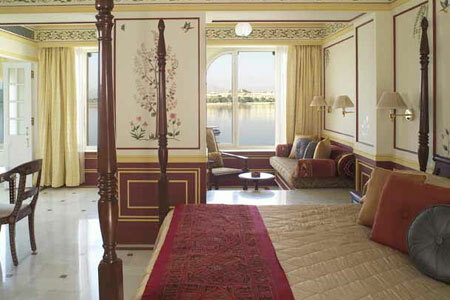 Savor the breathtaking view of the lake, monuments and the romantic city of Udaipur. The lavish amenities create an unparalleled royal experience. The hotel offers a wide array of dining options ranging from casual, all-day dining to formal, fine dining. Jharokha - The informal all-day dining restaurant, that offers an eclectic array of culinary delights from around the world. Neel Kamal - The fine dining restaurant, that specializes in a delectable variety of local Rajasthani cuisine and other Indian delicacies. Amrit Sagar - The stylish bar, famed for serving some of the finest vintage wines, spirits, cigars and 'sheeshas'. The bustling city of Rajasthan and a business hub with all the trappings of a modern metropolis - Udaipur is nevertheless flavored strongly with an inherent old-world charm that never fails to mesmerize a traveler.